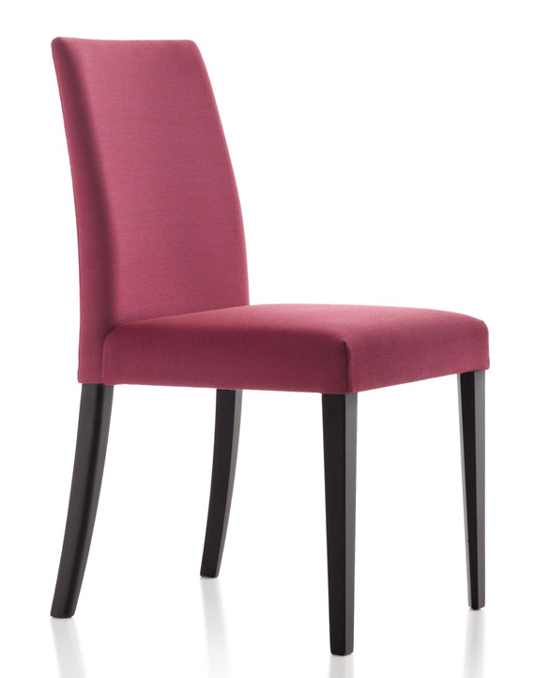 A sophisticated modern dining chair, generously upholstered with comfortable proportions. 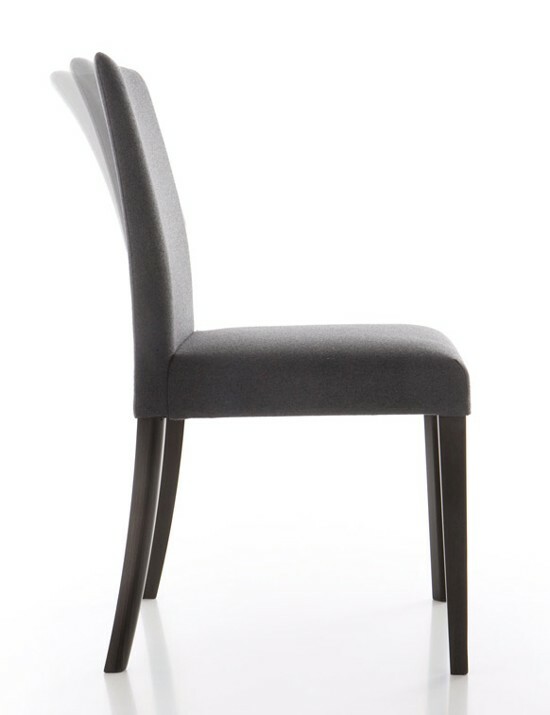 A special design allows the backrest to flex for added comfort. 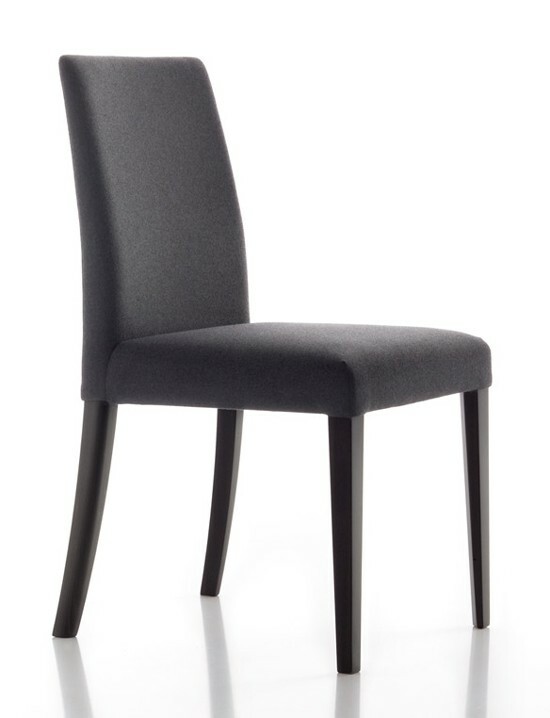 Structure in solid beech wood, see all stain options below. The seat is sprung with elastic webbing, padded with polyurethane foam and polyester and covered in a wide choice of fabric and leather colors, see samples below for all options. 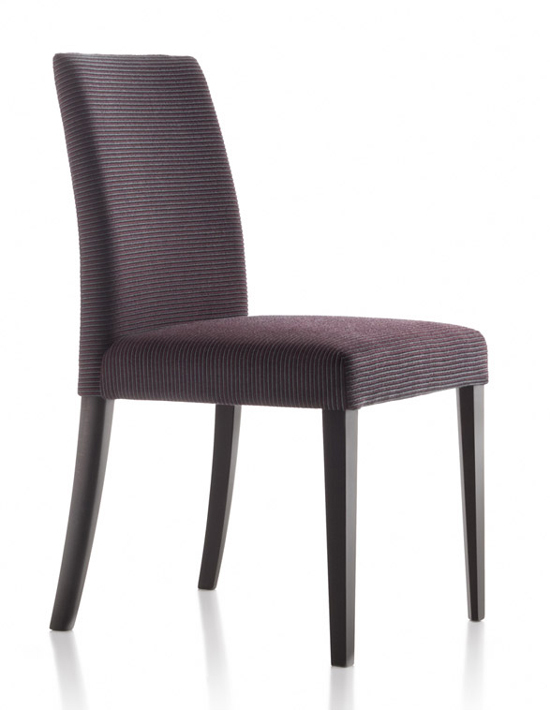 This family of chairs also includes armchairs and lounge chairs, see related products below.